Mortgage rates hit another record low in two consecutive weeks. Amid ongoing economic concerns at home and in Europe, mortgage rates hit another record low this week. According to mortgage giant, Freddie Mac, the average rate for a 30-year, fixed-rate loan fell to 4.09% this week — its lowest level in 60 years. For those who want to refinance, the popular option – 15-year fixed mortgage – declined from 3.33% to 3.30% last week. However, the low rates did little to boost the beleaguered housing market. Despite the increase in mortgage applications to 6.3% last week, only 23% of the applicants intended to use the loan to purchase a home. 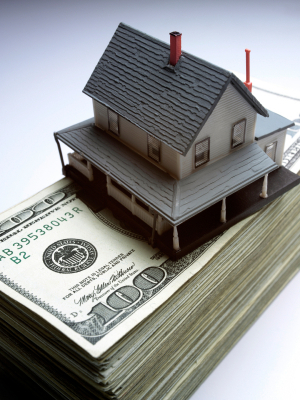 That is according to a weekly mortgage survey conducted by Mortgage Bankers Association. The rest of the applicants were homeowners seeking to refinance existing, higher-rate mortgages. Based on Freddie Mac’s Nothaft, the average interest rate of mortgages outstanding in the second quarter was 5.28%. Thus, refinancing into today’s 30-year fixed mortgage would make homeowners with a $200,000 loan shave almost $1,715 in interest payments annually. However, not every homeowner would qualify, as many lenders require borrowers to have stellar credit and large down payments. The most recent decline in mortgage rates marks its second consecutive week of decrease. Last August, Feds promised to keep interest rates low through at least mid-2013.